Great Community and Location.submitted by Danielle D. - Sep 07, 2017 |Recommended: YesThe amenities are great, the staff is nice and very helpful, the grounds are nice. The apartments are a little dated need some improvements, but generally are nice. Clean environment with a home-y feel.submitted by Rob V. - Sep 03, 2017 |Recommended: YesThat The Park on Brodie Lane is a great place to live. With the spacious living areas and wide range of well kept amenities, this complex should be at the top of everyone's list when it comes to apartments. 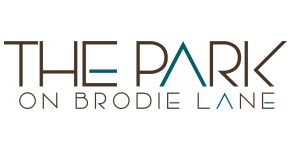 Accessible to many shopping outlets and major highways.submitted by Dennis C. - Aug 25, 2017 |Recommended: YesThe Park on Brodie Lane and the management has responded quickly to apartment issues. The staff in the Lobby Office are courteous and helpful. Perfect spot to land submitted by Hanna W. - Aug 23, 2017 |Recommended: YesWe moved to Austin on a whim and settled in at The Park on Brodie. The office staff are wicked nice and have treats for our dog when we stop in. Our maintenance issues are solved as soon as possible and we've been really pleased with the building and apartment itself. Think this is a very well run kept up to date place. Staff is helpful and prompt.submitted by Sushila D. - Jul 31, 2017 |Recommended: YesI think this location is EXCELLENT so much around. Easy access to main highways. Friendly, quit and kid friendly. Love all new the add on's to the placehammocks. Also, great that they paired with small food truck business on occasions. Here and there with little parties, nice treat . Great way to get to know our neighbors. THANKS GUYS Keep up the good work i'll be passing the news on. Entrance is too dark. Almost hit a pedestrian the other day.submitted by Tyler P. - Jul 10, 2017 |Recommended: YesPlease make the entrance more visible at night. It is pitch black and very dangerous at night. Besides that, everything is great. This is a great property to live in.submitted by Darren A. - Jun 01, 2017 |Recommended: Yesit is very quiet here on the property. My neighbors are very friendly and staff are too. Well maintained and convenient location, friendly staff and timely maintenance.submitted by Rashmi V. - May 31, 2017 |Recommended: YesI loved to live here for the past 3.5 yrs. Would not have moved if not for my relocation out of the country. Convenient location on Brodie and close to amenities. Good and spacious floor plans. Friendly staff and maintenance crew. Premises was kept clean. We have loved living heresubmitted by Victoria B. - May 31, 2017 |Recommended: YesWe moved to the Park On Brodie from out of state and have been so happy during our time here. The staff are super friendly and helpful my kids adore them , and are always really responsive to our maintenance requests. The facilities are good and are always kept clean, and we have definitely enjoyed having a gym and pool on site. We have never had a problem with noise from our neighbors who we've found to be friendly and approachable. We wouldn't hesitate to recommend this apartment community to anyone in Austin. Wouldn't change anythingsubmitted by Serena T. - Apr 01, 2017 |Recommended: YesIt's a beautiful residence with residents you can get along with. Location is great- next to shops, restaurants, and more. It's conveniently located near the main roads, as well. The community is pretty quiet, and it's situated right next to the woods, so there's a great trail that start at the apartments and goes on for another 3-4 miles. It's a bit more pricey than other places I've stayed in, but I've had no problems with this property and instead have really enjoyed it. I think that offsets the price point for me. There is also a lovely dog park that often has residents and their pooches I love that my unit faces it, so I get to see the cute pups everyday. Management is great. They keep things tidy, will answers any questions you have, constantly look out for feedback, and stick to their promises which means they'll also tow your vehicle if it's not parked in the proper place . I consider that to be a good thing, personally. Maintenance service is very fast. I've submitted many work orders that have been completed on the same day. One thing If you are like me and you have some sort of phobia of bugs, please be advised You are living right next to the woods, which means you're going to inevitably encounter a plethora of large, scary-looking insects outside your apartment or balcony. I survived, I guess. Please be aware that they are in abundance in the spring. Now as far as pest control goes, I haven't had much of a problem in my unit itself. Just a couple of lady beetles, some tiny bugs in the kitchen, and a baby roach at the beginning of my lease right after the place was sprayed- so that means it was working . I've been staying here for 7 months now, so I'd say that's a good track record. I'll end it on a positive note and say that I definitely recommend this place to anyone who's looking for an apartment. If I am staying in Austin longer, I'll definitely extend my lease, as well. Very nice place to live.submitted by Brian W. - Mar 31, 2017 |Recommended: YesI like living here because it has a lot of amenities, trash pickup, nice pool, wonderful workout room, hammocks by the pool, package pickup in the office, free coffee in the office, outside sitting room by the pool and a BBQ pit to cook outside by the pool. Best of all they have very friendly and informative staff to help with any questions or issues you may have. Great community to live in.